"Journey to the Healing Heart of Your Dreams"
Abstract: The hypothesis of Harvard biopsychiatrist, C.M. Anderson (1998) provides some enticing substantiation for psychophysical restructuring in the CRP Journeys. His work is centered around the psychotropic and oneiric aspects of the shamanic entheogen iboga, used by the Bwiti tribe of Africa, and more recently employed therapeutically by Harold Lotsoff and Dr. Robert Goutarel for the elimination of chemical dependency and Post-traumatic Stress Disorder (PTSD). Drug-free shamanism shares many common features with this therapy: initiatory waking-dream journeys, shamanic guidance, quick life review, psychedelic states of consciousness, spontaneous fetal regression, journeys to “the land of the dead,” and the induction and facilitation of Self-organized Critical States (SOCs) which result in restructuring of fundamental neural patterns. 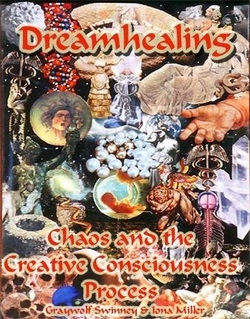 Anderson (1998) hypothesizes that the ingestion of iboga (or its alkaloid ibogaine, ibogaine hydrochloride) in a shamanic or psychotherapeutic setting induces a critical oneiric, or dream-inducing state, in which fractal time patterns of phasic events similar to those existing during fetal rapid eye movement (REM) or Active sleep are recreated in the adult. This dynamically destabilizes the functional connectivity of the brainstem and its habitual interactions with the bihemispheric temporal lobe structures such as the amygdala, creating a functional state of plasticity in these areas which facilitates the reintegration of traumatic memories. Psychopathological interhemispheric dynamics are altered, dissipating old behavioral attitudes and patterns. This psychotherapeutic oneiric state is similar to the complex behavioral states of REM sleep and attentional orienting in that they all share the signature of the self-organized critical state. Observed similarities between the neurophysiology of the REM state and that induced by selective psychedelic drugs such as LSD or psilocybin further substantiate this hypothesis. The dream-like quality of these journeys and the emergence of discrete states of consciousness (d-SOC) exhibiting particular imagery is reported by LSD-researchers (Tart, 1969, and Grof, 1988). Anderson highlights the common ground of REM sleep, orienting, and psychedelic states. Drug-free shamanic journeys using CRP can also enable us to “return to infancy and birth”- to the life in the womb - by returning us to the uterine condition (Grof’s parinatal matrices). It facilitates a condition in any case very close to life in “the land of dead” (realm of archetypes and NDEs) and so restores us to our own integrity -- our pristine condition. In the Bwiti and Fang rites, great importance is given to the retreat and the confession which precedes the initiation. Both aspects, as well as purification are essential features of the Consciousness Restructuring Process (Swinney and Miller, 1992; Swinney, 1999). Ibogaine therapy and CRP share the feature that the imaginal material elicited is easy to manipulate either on the journeyer’s initiative or by the mentor. The therapist can stop to contemplate a scene, go back, explore an alternative in a given sequence, bring a previous scene back to life, etc. The ease with which the events in treatment can be manipulated and the fact that the experience can be directed to desired areas in a flowing and self-emergent way is probably one reason for its psychotherapeutic success. All the while the journeyer reports waking dream sequences without loss of consciousness or any illusions of formal deterioration of thought. They report feeling suspended in the stream of time, and being shown where their problem is. The key feature shared by both modalities is temporary destructuring of the ego, followed by its restructuring. Michel Jouvet and Sir Frances Crick have assessed the role of dreams in the programming and de-programming of basic behavior patterns, resulting in a new individuation of the human brain. They consider PGO waves to be the principal coding tool that acts at the cortical level in recording the genetic and epigenetic acquisitions necessary for the individuation of the human brain. Metaphorically, this “software-writer” aspect of the self allows one to reconfigure the genetic and cultural programming much like changing the config.sys file of a computer. REM then reboots the consciousness patterns with the autoexec.bat file for habits, needs, and the manner in which one approaches life (Miller, 1993). In addition, through “chaotic” activation mechanisms, the PGO waves eliminate from certain types of neuronal networks an informational overload linked to pathological behavior. This what Debru (1990) calls “cleaning out the neuronal circuitry.” Apparently REM sleep undergirds a sorting out process among the “residues” stirred up by the PGO wave sleep pattern and disposes of these residues during dreaming. The principal difference between dreams and hallucinations resides in the way in which the stages of wakefulness are organized, with the suppression of REM sleep and the intrusion of PGO waves in the arousal (waking) stage and in NREM (or slow) sleep. The new organization becomes: waking (arousal) stage, stage of PGO waves, hallucination stage, sleep stage, and it appears possible that hallucinatory manifestations, the waking dream, eliminate “residues” stirred up by the PGO wave pattern in the absence of REM sleep. These visions are analogous to those at the approach of death, or what are called near death experiences (NDEs) ; they are the same as those termed normative visions. They include the characteristics of two phases of NDEs (Sabom, 1982): The Autoscopic phase includes 1) subjective feeling of being dead; 2) peace and well-being; 3) disembodiment; 4) visions of material objects and events. The Transcendental phase includes 5) tunnel or dark zone; 6) evaluation of one’s past life; 7) light; 8) access to a transcendental world, entering in light; 9) encounter with other beings; 10) return to life. Strassman (1990) has suggested that the pineal gland is a possible source of endogenous hallucinogens and this gland is also associated with sleep cycle rhythms, and traditionally with mystical states of consciousness. Besides the production of melatonin, the pineal may synthesize endogenous hallucinogens in response to certain psychophysical states, and raise serotonin levels in the brain.. These hallucinogens may belong to the tryptamine or beta-carboline family of compounds. One compound (6-methoxy-1,2,3,4-tetra-hydro-beta-carboline) has been proposed as the producer of rapid eye movement sleep. It is concentrated in the retinae of mammals which may be related to its visual effects. There are several ways in which either psychoactive tryptamines and/or beta-carbolines may be produced within the central nervous system (and possibly within the pineal) from precursors and enzymes that are known to exist in human beings. In addition, nerve fibers leave the pineal and make synaptic connections with other brain sites through traditional nerve-to-nerve connections, not just through endocrine secretions. Serotonin or tryptamine levels are higher in the pineal than any other organ in the brain. 5-methoxy-tryptamine is a precursor with hallucinogenic properties which has a high affinity for the serotonin type-3 receptor. Gucchait (1976) has demonstrated that the human pineal contains an enzyme capable of synthesizing both DMT and bufotenine-like chemistry. These compounds are prime candidates for endogenous “schizotoxins,” and their production may be related to stress and/or trauma, and has been implicated in the etiology of schizophrenia. Strassman notes that both the embryological rudiments of the pineal gland and the differentiated gonads of both male and female appear at 49 days. Melatonin is a time-keeper for gonadal maturation and/or competence so the pineal is implicated again. He suggests this may be the ontological source of the tension between sexual and spiritual energies. The pineal gland, as source of both psychedelic compounds and the gonads, source of physical immortality, may work in concert (or oppositon) in the individual’s development through time. Stress-related hormones are implicated in pineal activation to activate normally latent synthetic pathways, creating tryptamine and/or beta-carboline hallucinogens. When we face stress or potential death, or in meditative reveries, we “tune back” into the most well-developed motif of such experiences--the birth experience. Perinatal themes and memories re-emerge. Those with Cesaerean deliveries report greater difficulty in attaining transcendent states of breakthrough and release during drug-induced states. Maybe less fetal (or maternal) hallucinogens were released at the time of birth. They may not, according to Strassman, have a strong enough “template of experience” to fall back on, to be familiar enough with to let go without fear of total annihilation, because lesser amounts of pineal hallucinogens were produced during their births. The pineal may be modulated in its activity by meditative practices, to elicit a finely-tuned standing wave through resonance effects and other techniques. It creates the induction of a dynamic, yet unmoving, quality of experience. Such harmonization resynchronizes both hemispheres of the brain. Dysynchrony is implicated in a variety of disorders. Such a standing wave in consciousness can induce resonance in the pineal using electric, magnetic or sound energy, and may result in a chain of synergetic activity resulting in the production and release of hallucinogenic compounds. Thus, the pineal may be the physical representation of an attractor, or “lightning rod” of consciousness. Pineal function may profoundly affect consciousness at the time of birth, death, near-death experiences, and during unusual psychophysical states such as CRP Journeys or meditation. Stress or abuse in early life induces abnormal hemispheric functional asymmetries, disrupting REM sleep and predisposing individuals to addictive and self-defeating behaviors resulting from impaired interhemispheric integration. The profound and persistent neural and psychological changes and vulnerabilities induced by early trauma are revealed with EEG during recall of past trauma. Further, abnormal hemispheric EEG coherence is associated with reductions in the size of the corpus callosum, the bridge between hemispheres. It has been proposed (Schiffer, 1997, 1998) that we all have two minds or personalities, one in each hemisphere. They are like conjoined Siamese twins, and their disharmonious struggles for dominance result in a range of personality disorders. The emotional mind, largely in the right hemisphere, may be damaged from trauma or abuse, and sabotague the critical mind. We always know what we should do, yet we do what we want, even when it leads to self-defeating consequences. The hemispheres are meant to work in concert with one another. Debilitating emotional disregulation results from hemispheric disharmony and dysfunctions in the arousal system toward hypo- or hyper-tonic states. The left hemisphere (with the frontal lobe) manages tonic activation for the conduct of intellectual and motor tasks, and maintenance of vigilance over time. It is mediated by the neuromodulators dopamine and acetylcholine. The right hemisphere, in contrast, manages phasic arousal to maintain the sensory system in readiness to receive and process new inputs from any source. This system is cued by norepinepherine and serotonin. An increasing number of disorders are being assigned to one hemisphere or the other. Neurofeedback uses a number of protocols for the correction of alpha asymmetry which is implicated in PTSD, depression, ADD, addiction, OCD, anxiety, and a host of other dysfunctions. Human minds transcend the hardwiring of the brain; dynamic brain plasticity is one mechanism by which they do so. Physicist David Bohm called a noun a “slow” verb, and we humans are constantly in dynamic psychophysiological motion even if we consider our personalities to be “fixed.” In ordinary waking consciousness the two hemispheres--linear left-brain and holistic right brain--exhibit uncoordinated, randomly diverging wavepatterns detected by the electroencephalograph. When we enter a meditative state, these patterns tend to become synchronized, and in deep meditation they exhibit nearly identical patterns. In deep meditation not only do the left and right brains of one subject synchronize, they can resonantely entrain with others in the vicinity, as paired subjects synchronize. The “music of the spheres”--a brain symphony, plays when hemispheric synchronization occurs, and both lobes function in concert. A hemispherically-balanced mind is an “open-mind.” Lateral specialization of the cortex into two distinct and complementary modes of consciousness reveals that the left brain excels at verbal skill, linear thought, abstraction, rationality, and analytical thought, whereas the right is more nonverbal, synthetic, global, diffuse, metaphorical, dreamy, imaginal, perceives gestalts, and helps us with visual construction and spatial orientation. The right hemisphere gives us non-linear leaps of intuition and insight--the a-ha experience. It is subjective, relational, holistic and time-free. The right brain is the dreamer and artist. It gives us the startling perceptual experiences produced by drug-free experiential therapy or consciousness journeys, such as mind trips, bursts of ecstatic feelings or sequentially logical thoughts, insight, followed by a cognitive evaluation period. There is a possible gating-mechanism which seems to occurs in CRP when someone recalls a dream or symptom. The influx of perceptions produced by increased attentiveness and sensitization to sensory stimuli may overwhelm the systematic sequential processing of the language hemisphere and invoke the analogical integrative mode of the right hemisphere to consolidate the perceptual flood. Yet, a whole brain is better than either alone. Collective neuronal activity is modulated by rhythmicity, and this is what is detected with the EEG. Neuronal populations coalesce to collective firing when stimulated or processing. Then they desynchronize back to raw signal. Desynchronization results from the superposition of many rhythmic generators of different frequencies, each ebbing and flowing from rhythmicity to desynchronization. Rhythmicity regulates the entire spectrum of activation and arousal in the bio-electrical domain by a process called kindling. The process breaks down when synchronization or desynchronization of specific frequencies persists or is disregulated, decoupled from the demands of the moment. Self-recovery reinstitutes harmonization of formerly hyper- or hypo- arousal states of the person. Disorders of underarousal include unipolar or reactive depression, inattentive-type ADD, chronic pain, and insomnia. Overarousal includes anxiety disorders, sleep onset problems, hypervigilance, impulsive ADD, anger/aggression, agitated depression, chronic nerve pain, and spasticity. Some forms of anxiety and depression involve both under- and over-arousal. Some instabilities arise autonomously from the CNS while other require an external trigger for initiation. Early trauma creates vulnerabilities to both. Over- and under-arousal indicate changes in sympathetic and parasympathetic arousal, called ergotropic and trophotropic shifts. The ergotropic, or energetic shift is characterized by a tendency toward higher sensory acuity, external focus, sympathetic arousal, high motor setpoint, etc. The trophotropic or tranquilized state is a tendency toward an inward focus, less alertness, reduced sensory acuity, a shift toward vegetative functions, and reduced motor readiness. By stimulating the neglected neural circuitry, new pathways are created, improving equilibrium and long-term change. Ergotropic and trophotropic shifts are mutually inhibitory. To enhance one is to suppress the other. Their dynamic balancing results essentially in a ‘tuning’ of the nervous system. We can conclude that CRP helps us switch from left brain to right brain dominance during the journeys, and that it facilitates neuronal restructuring which reinstitutes hemispheric synchrony and the wider distribution and amplitude of alpha and theta waves, reunifying the whole brain, (Miller and Swinney, 2001). The brain’s intrinsic bias toward homeostasis dictates that any process which evokes a brain response away from its then-prevailing equilibrium state will set in train forces to restore the original state. Thus promoting arousal by focusing on fear and pain will first tend to produce a shift, and on the other hand, set in motion a compensatory mechanism by which the brain restores its opposite and enters a calm period. Hence, even dis-equilibration can bring out improved equilibrium maintenance as a long-term consequence. That dis-equilibration is the introduction of deterministic chaos. CRP offers a regulatory challenge to the dynamic system by taking the brain momentarily out of its prevailing equilibrium. The brain responds positively to therapeutic disequilibration of the nervous system by long-term adaptation. Ultimately, it doesn’t matter whether the disequilibration occurs in one direction (breakthrough therapy)or the other (meditation). Improved regulatory function eventuates in either case. CRP is a method by which the functional or systems level of the brainmind is addressed. The functional process can be immediately altered and new patterns of behavior and perception facilitated. CRP leads to long-term dendritic re-programming and/or regrowth, and significant reorganization. It “exercises” neglected pathways. Because it works so quickly, the mechanisms involved in stabilization must lie principally in the functional rather than structural level, at least initially. Functional plasticity is undoubtedly mediated by altering synaptic coupling strengths through the generation or attrition of receptor sites, and the alteration of neurotransmitter chemistry through changes in neuronal gene expression, (Rossi, 2000). The functional plasticity of neuromodulator systems clearly exists on all behaviorally relevant timescales. The dynamic range of neuromodulator plasticity or flexibility can be increased where it is deficient, and stabilized when it is unstable by self-organizing restructuring. CRP simultaneously exercises neural mechanisms which control the fundamental functions of arousal, attention and affect managed by the central nervous system (CNS). It works through a complex web of inhibitory and excitatory feedback networks. Both functional and structural change are implimented. The left hemisphere aspects of depression and anxiety may have to do with anticipatory activity, planning, ruminating, perseverating, worrying. The right hemisphere, in contrast, harbors the non-rational, more catastrophic aspects of depression and anxiety, (for example, including fear, panic, agitated depression, and suicidality). There are hemispheric specificities for cognitive function, anxiety, depression, pain, sleep disorders, eating disorders, endocrine and immune system disorders (Othmer et al). Skills training for the right brain requires tasks that the left, rational mode gets easily bored with--things it either can’t or won’t do. In right brain mode we become unaware of the passage of time, are alert but relaxed, excited but calm; it is relief to relinquish rationality temporarily--this is the source of the age-old craving for self-induced altered states of consciousness which bring meaningful satisfaction, (Edwards, 1999). The hemispheres affect motor abilities also, since the left hemisphere is hard-wired to the right side of the body and vice versa, with the exception of a small percentage of left-handed people. Left-handers are generally less lateralized; they tend to process language and spatial information in both hemispheres. This creates potential problems or conflict such as dyslexia, but it also can lead to superior mental abilities. The hemispheres are virtually identical in appearance, though not in function. The corpus collosum, which connects the two halves is larger and has more connections in females than males. If severed, the two halves of the brain continue to function independently with differing perceptions and agendas. While at the analytical level, the subject will conjecture as to why that is happening. Each half has its own way of knowing about our being and perceiving external reality. Each of us is of two minds, mediated by the connecting cables of the nerve fibers in the corpus callosum. Yet these hemispheres can work together in a number of cooperative ways. There are two discrete ways of knowing. The main distinctions in hemispheric processing are between thinking and feeling; intellect and intuition; objective analysis and subjective insight. The history of science is full of anecdotes about researchers who have a dream or intuitive hunch where a metaphor presents itself as a creative solution. The two modes of conscious can each be the leader or the follower. They may also conflict, one half trying to do what the other knows it can do “better.” Each has its own way of keeping knowledge from the other hemisphere, and this is especially true when it comes to memories and patterns locked in from trauma and abuse. Patterns of bunching or clustering typically reveal an underlying fractal organization inherent in nature. Living and nonliving matter is organized into complex recursively nested patterns over multiple levels of space or time, or spacetime (the holomovement). Patterns termed fractal or self-similar are recurrently irregular in space or time, with themes repeated like the layers of an onion at different levels or scales. Fractals are nested patterns which are robust phenomena which persist at all levels of observations. Complex dynamics and fractals are ubiquitous in human psychophysiology and feedback loops. They can be seen in the bunching or clustering in the opening and closing events of ion channels, quantal release of neurotransmitters, or the spontaneous firing patterns of neurons, heartbeats, or breaths from the fetus to the adult. As we have not failed to notice in CRP, Anderson reiterates that fractal concepts provide an essential point of view for understanding brain/mind. There are fascinating connections among REM sleep, attentional (orienting) and psychedelic (or mind-manifesting, mind-expanding) states. His central thesis that metaphors facilitate thought by providing an experiential framework in which new information may be accomodated, forming a cognitive map, a web of concepts rooted directly in physical experiences, and our relation to the external world. This cognitive topology is a mechanism we use to impose structure on space. Another core idea of Lakoff’s is that clusters of metaphors describe experiences better than any single metaphor can. Because of the ubiquitous nature of clustering in fractal systems, we suspect that complex dynamics are at work in our inherent experience of ourselves and our reality through epistemological metaphors. Thus metaphor is much more than a superficial phenomenon of language--not a means of expression as much as a means of apprehension, which shapes our thoughts and judgements, and structures our language. Our perceptual experience is rooted in a few key conceptual categories which Lakoff has defined: 1) Thought is embodied: it grows out of bodily experience and makes sense in terms of it; we are grounded in perception, body movement, and our physical and social character. 2) Thought is imaginative: it unfolds spontaneously in terms of metaphor and psychophysical imagery, which is much more than literal. This imaginal capacity is also embodied indirectly in metaphors and images based on experience, particularly bodily experience. 3) Thought has gestalt properties: this is neither a structuralist nor functionalist perspective, but one of radical nondualism. Self-organization with emergent properties is a descriptor of dynamic processes with a fractal blueprint. 4) Thought has an ecological structure: nature follows the path of least resistance in its webwork of synergetic interaction, and the ecology of systems depends on the overall structure which is in constant dynamic motion. Thus thought is much more than the mechanical manipulation of abstract or abstracted symbols. Symbols do not require interpretation, but arise as emergent properties with inherent “meaning.” Thought is strongly rooted in the neurology of the brain, in orientation-sensitive cells, and center-surround receptive fields, the interface of the part with the whole. The sensory-motor system is fundamental in this orienting, as is metaphor which builds our neural maps. This allows sensory-motor structures to play a role in even abstract reasoning. Because of the link in this perspective between sensory-motor experience, orienting behavior, and metaphorical apprehension, Lakoff’s notions can be strongly linked to Anderson’s vision of interhemispheric reintegration with its emergent neural plasticity, reorientation, restructuring, and transcendent capacities, all of which he links to dream-inducing REM sleep, with its fractal patterning. The same applies to CRP. The key serotonin system may function in a manner appropriate to a different behavioral state, such as REM sleep while the subject is still awake--awake yet actively dreaming. The PGO waves which induce phasic eye movements of REM are readily observable via EEG and by inference through direct observation. It doesn’t take a drug to induce the state. In the therapeutic setting just the simple suggestion of its possiblity, permission, and a positive expectation for the state allow altered states to emerge and unfold. This phenomenon is well-documented in the literature of clinical hypnosis. In neurological terms, the fractal patterns of reorganized S-Net unit activity are allowed to emerge through an autopoietic process, in concert with dynamic changes in other brainstem and forebrain areas. Many of the unpredictable patterns of oneiric (dream-induced) behavior can occur. Anderson proposes and delineates a connection between REM sleep and attentional states, such as orienting. He contends that mammals in general are in a state of virtually continual orienting during REM sleep, and relates this to implications about discrete states of consciousness. He cites experiments where similar amplitude PGO waves are evoked in cats during normal orienting responses to loud sounds and during normal REM sleep when external behavioral orienting is absent. PGO waves suppress the 5-HT or serotonin cycle. The 1/f fractal patterns typically seen in cat brains during orienting to birds, for example, is linked to REM sleep, but not other types of sleep and quiet wakefulness. This fractal pattern is diminished by serotonergic antagonists. Wakefulness and slow wave sleep is not conducive to the 1/f state. But the fractal pattern becomes very active at the offset of these states, including REM, orienting, and transcendence. Anderson concludes and defends that this suggests that REM sleep is, at least in terms of 5-HT systems, a prolonged orienting response. And we know from Lakoff, that humans tend to orient in terms of metaphors, and cognitive maps based on sensorimotor experiential metaphors. This creates unique 1/f fractal patterns of activities in time, and in fact, is a mechanism of time-binding. Imaginal or physical movement in three space can only take place in the 4th dimension of time, even in virtual reality. For example, a metaphor, such as “love is a journey” implies a timeline where there is an esoteric, ill-defined something in front of us, a history which lies behind, and a plethora of tangential “roads-not-taken” which vear off at all-possible vectors. This phase space functions as a cognitive map of our motion through time. Induced dream-like states have many of the behavioral and neurophysiological markers of REM sleep without atonia, or sleep paralysis. Anderson suggests this may result from sudden massive destabilization of the normal behavioral-states-rhythmicity of the tonically firing S-Net, forebrain and reticular formation. This effects a complex dynamic notwork of interdependent dopaminergic, norandrenergic, opiod, cholinergic, and NMDA recptors and systems. Any means that switches dominant activity to the right hemisphere will create a shift from normal attention to a dream-like state, much like switching a channel. It can also jolt the S-Net and Reticular Formation (RF) into a unique state. This unique state, according to Anderson, “may require a return to activity patterns more characteristic of fetal ontogeny to reinstate normal functional organization.” In a sense, following treatment, the Reticular Formation and associated brains regions are functionally “born again.” To see how CRP may work through a “fetal REM-like” state in humans, it is necessary to review the important role of REM sleep during development. We must also bear in mind Anderson’s finding on the fractal-in-time nature of fetal REM sleep phasic processes and their disruption by early stress. He suggests visualizing these unique states with 1/f patterns, fractal patterns whose complex cores are attractor-based. Fractals are objects in space or fluctuations in time that possess a form of self-similarity. Fragments of the object or sequence can be made to match the whole by shifting and stretching. Fractals can be exact or statistical copies of the whole, nested self-similar patterns and structures which emerge from this patterning. Fragments of natural fractals are only statistically related to the whole. Only purely mathematical fractals can be exact copies. In nature, self-similar clusters have smaller clusters within larger clusters of clusters. Clustering patterns, or bursts within bursts, are a universal characteristic of spontaneous behavior in living systems of cells, neurons and the early motility of embryos. Biological systems thrive and grow via self-organized fractal bursts patterns. Self-similar bursts-within-burst patterns are ubiquitous, and can be seen in ion channel current fluctuations, neurotransmitter release, neuronal firing patterns, the searching and orienting patterns of animals, and in human judgement and decision making. Bifurcations or catastrophic state-changes occur when the organism or system reaches the self-organized critical state. Complexity theory is applicable to any level of biological or psychophysical description. Its fundamental concept is that of the self-organized critical (SOC) state, which describes how complex spatially distributed entities, such as our organismic feedback networks, can interact across many time and space scales. This describes the 1/f fractal patterns and their seemingly random yet deterministic perturbations. The SOC leads directly to cascading restructuring of the pattern, system, or structure. The imaginal experiences are “real” in that they carry real consequences in the ordinary world. REM, orienting and mystic journeys all share a common critical state that exists throughout the brain and brainstem--patterns of interspike intervals. Anderson proposes, “PGO spikes and other phasic activity during these states, are analogous to sand slides or traffic jams of all sizes [ref. chaos theory] representing critical fluctuations in neural activity and connectivity. The SOC state during the orienting response, may facilitate rapid functional brain reorganization in response to the qualities of the eliciting stimulus. The critical connectivity that exists during these states may primarily involve orienting synergies (among ocular, neck and facial motorneurons). PGO waves may link this critical brainstem centered connectivity with limbic and cortical structures such as the amygdala and temporal lobes.” PGO spike density increases as tonic REM sleep begins. Therefore REM may be a dense, coalescence cluster of PGO activity. From the fractal point of view, REM sleep is a kind of fractal of PGO bursts. With eyes closed, during the oneiric state, PGO-like spikes among amygdaloid and brainstem sites could generate and direct waking dream sequences, according to Anderson. This seems a plausible mechanism for phenomenon observed in CRP Journeys, as well. Orienting of attentional states is directed inward in the virtual environment, rather than acted out externally. Perhaps this deep focus allows the S-Net pauses to allow sensory processing, and possible motor system functional reorganization. For example, Anderson offers the following in regard to ibogaine’s reprogramming capacity: “I would go further, and suggest that complex habitual sequences of motor output (e.g., drug seeking and drug consuming behavior in addicts) represent hypercomplex sequencesof cortical-striatal- thalamic activation, triggered by sensory dependent amygdaloid-brainstem modulation of the monoaminergic systems during critical states. The power of ibogaine to break habitual patterns of addiction may reside in an induced SOC state that disrupts and functionally reorganizes this anygdaloid-brainstem system, in effect resetting the brain/mind.” Again, we can suggest that CRP performs virtually the same function, without recourse to drug ingestion, thereby avoiding substitution of one chemically-induced experience for another. Anderson thinks ibogaine works on many brain systems to “drive firing dynamics into an SOC state with avalanches of phasic events similar to that existing during early development.” Clearly these same issues, experiences of ego-death, fragmentation and annihilation, and perinatal imagery, as well as all of the other classical transpersonal states of consciousness emerge spontaneously in CRP and are most often associated with spontaneous self-recovery on a variety of observational levels, indicating a fractal result, if not mechanism. Biological systems are in a constant state of criticality and self-organization. Critical states in developing brains may lead to the enhancement of synaptic connections, sparing of axons, and synchronizing twitches that allow distant regions of the organism to link and coordinate gene expression and neural-motor development....Long patterns of bursting have statistical self-similarity...they appear very similar to the bursting patterns of ion channels, neurons and phasic REM processes such as PGO waves. Self-similar clusters in time result in unusual statistical properties, called Levy distributions. A unique property of these distributions is that they lead to what is called “convolutional stability.” These are stabile distributions self-similar over different sample sizes or time scales. Fractal clustering in the interconnected S-Net leads to knocking out the activity of some nodes and results in atypical fluctuations in 5-HT release in different brain regions. These fractal flucuations in S-Net activity may synergize with other neurotransmitter systems to bring new qualities to self-organized critical oneiric states, resulting perhaps in enhanced dopamine release in the anygdala and prefrontal areas. We might conjecture that an endogenous 5-HT reuptake inhibitor (SSRI) may prolong S-Net reorganization during therapy. Another avenue is that temporal lobe dysfunctions involving limbic structures such as the amygdala and hippocampus are frequently associated with sleep disturbances, and even sleep walking. Hemispheric asymmetries, resulting fro lateralized temporal lobe dysfunction and alterations of commissural development can be the aftermath of childhood stress or trauma. Most theories of adult REMS function ignore its central role in fetal life. Most claim that adult and fetal REMS are too different to be considered relevant to adult behavior. But Anderson describes how alterations in the vertical and horizontal consolidation of self-similar bursting patterns of phasic sleep events can provide a conceptual bridge between the disorders of REM sleep in adults and in children. This conclusion underies his hypothesis of bihemispheric reintegration. Trauma or drug abuse history is strongly correlated with asymmetric hemispheric functioning. We have seen from Neurofeedback and Hemi-Synch research that this reintegration is fundamental to resetting the system back to healthful conditions, almost irrespective of the presenting disorder. Amygdaloid stimulation evokes significantly increased PGO number, spike and burst density. Regional cerbral bloodflow in the human amygdala is positively correlated with REM sleep. The parabrachial regions is also involved in alerting and in the generation of REM and PGO waves. Also cholinergic activation of the central nucleus produces long-term facilitation of REM. The amygdala receives most of its serotonergic innervation from DRN which has a strong inhibitory influence upon amygdaloid neurons. Asymmetric activation of the amygdaloid-parabrachial pathways results in abnormal sleep architecture and prounounced changes in the patterns of phasic REM events. Eye movements in normal children on the whole do not become organized into bursts until 40 weeks gestational age; thereafter changes in the clustering of the bursts of eye movements (EM) are correlated with developmental age. From 2-24 weeks postnatal, total REM decreases. Between 3 months - 5 years of age, a major organizational cchange occurs in the patterns of EMs, marked by the increasing tendency of bursts of EMs to cluster, with more and shorter EMs packed in bursts within bursts. Other research shows that maternally deprived neonatal rats showed a decrease in certain key fractal patterning. Maternal deprivation, a model of early abuse, results in alterations of fractal measures of clustering, and these shifts persist into adult spontaneous activity. Early deprivation results in disruptions into adulthood, similar to symptoms of PTSD associated with child abuse. Lasting changes in the amount or pattern of phasic activity associated with REM sleep appears to be one common thread linking PTSD and other sleep disorders in children and adults. Functionally asymmetric cortical-amygdaloid-parabrachial pathways could also be a critical common factor in PTSD and other disorders, (Anderson). Transformationss in the quantities or characteristics of phasic REM processes may be a compensatory mechanism by which the brain attempts to reestablish horizontal and vertical consolidation through correlations inherent in the clustering process. We allege that CRP treatment helps correct hemispheric asymmetry, phasic REM processes and the psychobiology of the amygdaloid complex. CRP Journeys are an experience of dream-like states, except that participants are awake and can respond. Images appear, especially after eyes are closed, often leading to rapid visual presentation of various images. Often journeys lead to specific reviewing of traumatic events or circumstances from childhood and/or disorders. There are distortions of time perception, and the dream experience is perceived to take much less time than clock-time. Following re-entry, a period of intensive reevaluation of previous life experiences can take place. Anderson speaks of the disturbing effect of lights and sounds, which might result from loss of normal global habituation due to RF destabilization, resulting in fear and/or rage. Again, trauma and drug abuse history is strongly associated with asymmetric hemispheric function. Temporal lobe structures such as the hippocampus and amygdala are particularly sensitive to the effects of child abuse and trauma. Anderson conjectures the oscillatory sound could indicate rapid shifting or cycling of attentional resources between the left and right hemispheres, downshifting the normally constant 10 Hz rhythmicity of the olivocerebellar system. This oscillatory auditory effect may function as an auditory driver. The downshift effect may indicate possible flooding of the left hemisphere by material from the uninhibited right which takes over primary conscious focus. This sets the stage, along with phasic fluctuations of the S-Net and uninhibited PGO, for the sudden onset of the SOC state and the waking dream period. This exacerbates physiological and psychological addictions and rigidifies emotional traumas into PTSD and chronic hemispheric imbalance. CRP therapy may help to free these rigidities, restoring some degree of healthy hemispheric balance. The amygdala is the meeting place of emotions and the mind. We each have bilaterally interacting right and left amygdala which give us our internal emotional experiences by processing and attaching affective response to the rich flow of information from all the five senses and modulating our perception of the autonomic centers in the brain. This connectivity is specialized for non-sequential interactions over multiple timescales, or broad-band synchronization. Distortions of time perception, Anderson thinks, may reflect the “rescaling in time” afforded by the fractal bursting of BLA pyramidal cells during this critical state. We can speculate that the role of common SOC states in the amygdalae, extrastriate cortex and brainstem, form the emotional and visual substrates for CRPs “experiential” dream-like phenomena. After the abrupt end of the SOC dream-like state and rapid image experience, subjects are able to reflect on and integrate the experience. Although the brain generates long-range correlations, abuse, trauma and the cumulative stress of modern life can quickly destroy these correlations, so CRP is complimented with coventional forms of support, follow up, and reintegration. The traumatic abuse that may result in functionally abnormal hemispheric interactions precipitates in emotional instability and addictive behaviors. CRP works through multiple neurotransmitter systems to create within amygdaloid-brainstem systems a self-organized critical oneiric state or state of plasticity, similar to states of plasticity existing during fetal development. This critical brain state may facilitate the consolidation of traumatic memories, reversal of abnormal hemispheric function and the dissolution of habitual motor patterns associated with addiction. Debru, C., 1990; Neurophysiologie du reve (The Neurophysiology of Dreams), Paris, Hermann, Edition des Sciences et des Arts. Edwards, Betty (199); [The New] Drawing on the Right Side of the Brain, New York: Tarcher/Putnam. Goutarel, N., Golnhoffer, N. and Siddens, R.(1993); “Pharmacodynamics and Therapeutic Applications of Iboga and Ibogaine; Psychedelic Monographs & Essays, Vol. 6; Boyton Beach, Florida: PM & E, 71-111. Grof, Stanislav (1988) ; The Adventure of Self-Discovery; Albany: SUNY Press. Miller, Iona and Swinney, Graywolf (2001); “CRP theta training: Theta reverie and co-consciousness in CRP; Chaosophy 20001, Wilderville: Asklepia Publications. Miller, Iona and Swinney, Graywolf (2001); "The neuropsychology of CRP, Dreams, and REM"; Chaosophy 2001, Wilderville: Asklepia Publications. Othmer, Siegfried, Othmer, S., Kaiser, David; “EEG biodfeedback: A generalized approach to Neuroregulation”; in Applied Neurophysiology & Brain Biofeedback, Ed. Kall, Kamiya, and Schwartz. Strassman, Richard (1991); “The Pineal Gland: Current Evidence for its Role in Consciousness”; PM & E, Vol. 5, 167-205. Swinney, Graywolf and Miller, Iona (1992); Dreamhealing, Wilderville: Asklepia Pub. Swinney, Graywolf (1999); Holographic Healing; Wilderville: Asklepia Pub. Rossi, Ernest (2000); “Sleep, dream, hypnosis and healing: behavioral state-related gene expression and psychotherapy,” in Sleep and Hypnosis 1:3, 1999, pp. 141-157.